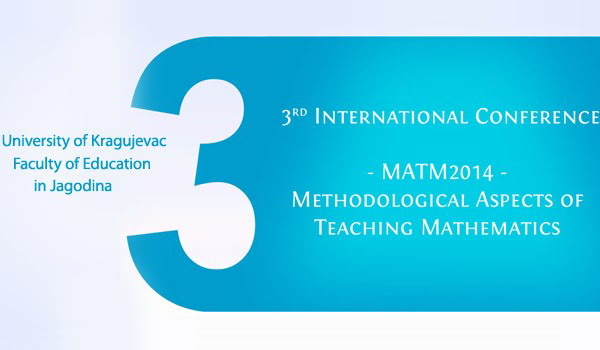 Third international conference METHODOLOGICAL ASPECTS OF TEACHING MATHEMATICS is to be held at the Faculty of Education in Jagodina on 14th and 15th June 2014. "The project is financed by the European Union and unfolds under the guidance of the Ministry of Education, Science and Technological Development of Serbia. The consortium in charge of its implementation is headed by Hulla & Co, Human Dynamics K.G."